There's nowhere in the world quite like Norway. With its dramatic landscapes - the great swathes of green forest, the snowy peaks of the Scandinavian Mountains, the rocky fjords that carve the coastline - Norway boasts the kind of outdoor beauty that most tourists can't believe exists, a paradise beyond their wildest expectations. For Norwegians, they just call this land home. Across the country, from north to south, there are thousands of spots to discover and explore, each one seemingly more beautiful and striking than the last. To define Norway by one characteristic is nearly impossible; it is a nation of the sea, yes, but also of the mountains, and the islands, and the forests. Whether you're enjoying the cosmopolitan way of life in Oslo, hiking the route to Trolltunga, or kayaking around The Lofoten Islands, Norway has something for everyone. 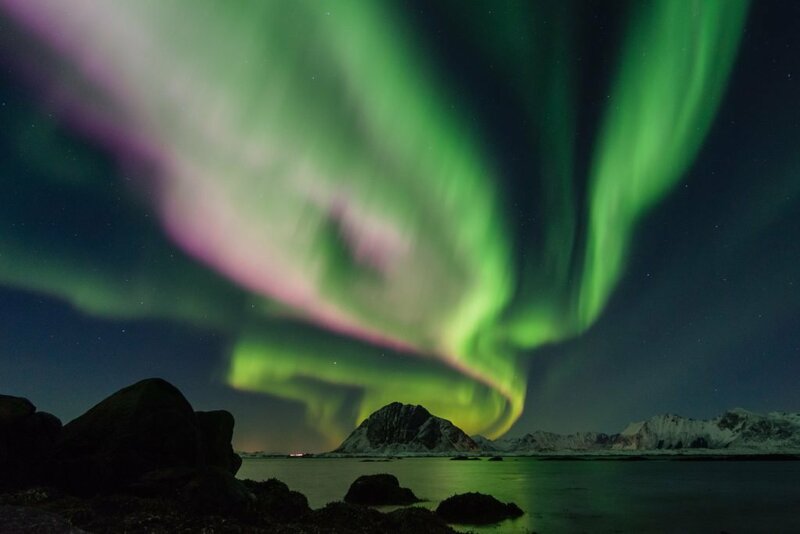 Also make sure to check out the best deals on seeing the Northern Lights in Norway! Norway is the westernmost, the northernmost, and interestingly enough, the easternmost country of the Scandinavian peninsula. Though most of the land is rocky wilderness, the country's topography is one of the most varied on Earth, from the western fjords to the northern mountains to the waterfalls that tumble from great heights. And Norwegians are no stranger to the land; to be close to nature is an integral part of the culture, perhaps best defined by the notion of gå på tur ('to go for a walk'). And while Norwegians certainly can't be credited with inventing the idea of going for a walk in the outdoors, there are few cultures that place such a strong emphasis on this time spent wandering. Norway just happens to be one of the most beautiful nations in the world in which to wander around. Much of Norwegian culture and history is directly linked to the land itself, with a long background of farming, fishing, and living off of the bountiful earth. The earliest inhabitants of the nation date back to 10,000 BC, when increasingly warmer weather allowed for more hospitable conditions, especially along the coast, where fishing was the main source of dietary needs. Through the Bronze, Iron, and Viking Ages, through the Middle Ages, and into the Industrial Revolution, Norway continued to grow in population, steadily contributing to the world with its cultural achievements. Today, while Norway is firmly in the 21st century in terms of social and economic accomplishments, there is still a deep-rooted desire to maintain traditions. Many Norwegian buildings are still built from wood, echoing the architectural achievements of the Medieval stave churches, many of which remain to this day. Cities like Bergen attract thousands of tourists a year because of their colourful rows of wooden houses, making for the perfect tourist photo while still representing a long-standing feature of Norwegian culture. We see this reflected in Norwegian diets, too, with fish still taking up an important part of the table at nearly every meal. But Norwegian culture goes beyond wooden houses and smørbrød. Several Norwegian authors have been awarded the Nobel Prize for Literature, and playwright Henrik Ibsen and author Roald Dahl are recognised as two of the world's greatest writers. The Norwegian contribution to art hasn't gone unnoticed, either, with Edvard Munch's The Scream often noted as one of the most important works of the 19th century. And all of those years growing up skiing and skating have done wonders for the athleticism of Norwegians, with Norway currently holding the record of Winter Olympic medals won by any nation across the globe. Not bad for a country of five million. And just as a connection to the land has always been ingrained in the Norwegian way of life, so too has acceptance and social equality; Norway was one of the first countries to successfully implement many laws that supported the rights of women, minorities, and LGBT communities. Today, Norway is still known as a progressive and innovative country, especially when it comes to the plight of the environment, with many attempts made to promote sustainable tourism and environmentally-friendly activities, hopefully leaving Norway as beautiful as it is now for many generations to come. Norway is undoubtedly home to some of the most jaw-dropping sights in the world, inspiring writers, artists, and your everyday tourist for generations. 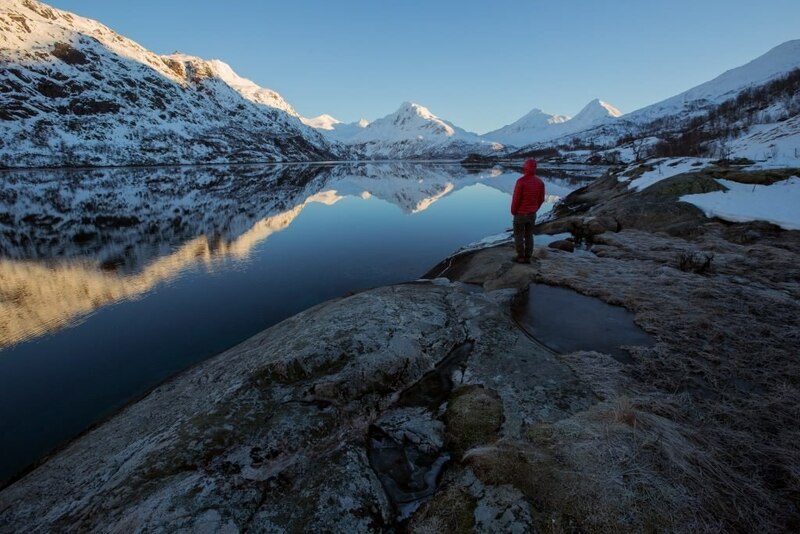 Because of the Norwegian love for the land, there are a seemingly limitless amount of outdoor activities to try, whether you're looking for a rush of adrenaline or a more relaxed experience. In the summer months, when the land bursts with colour - from the emerald forests to the turquoise lakes to the bright, blue sky above - people come out in droves to enjoy the warm weather and the abundance of activities. Walking and hiking are national pastimes, and it's no wonder why, as Norway has some of the best hiking trails in the world. 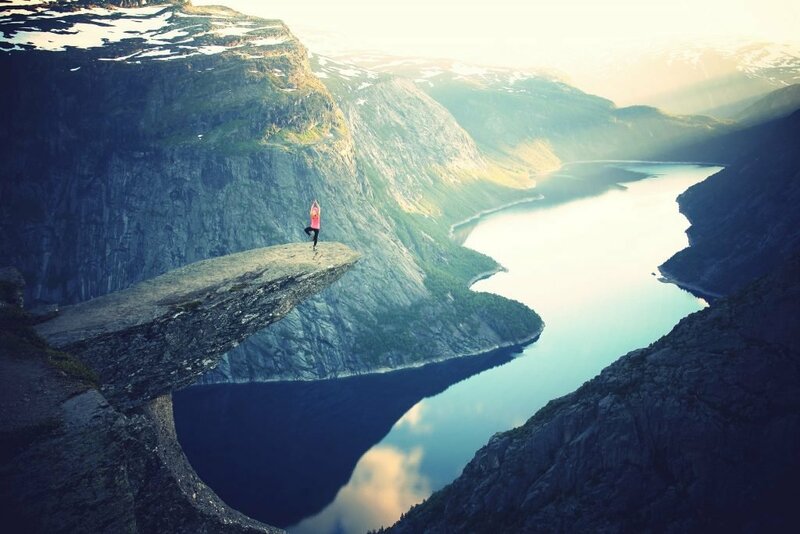 Perhaps one of the most famous of these is the route to Trolltunga, where hikers are rewarded with the picturesque view of the rock ledge jutting out into the landscape, looking out over a nearly endless stretch of peaks and valleys that one needs to see to believe. And you'd be remiss to spend time in Norway in summer and not take advantage of the water in some way, whether it's a fishing trip around the fjords, boating around one of the 450,000 lakes, or walking behind the powerful Steindalfossen (and still remaining dry). There are also numerous cycling routes to try including the Kystriksveien Coastal Road, a journey that allows you to see some of the country's craggy mountains, sandy beaches, and the thousands of islands that dot the coastline. For the even more adventurous, try white-water rafting, scuba diving, or even sky diving. For those who want to see nature up close and personal, but in a relaxed way, try the world renown train journey to Flåm, where you can spot rocky ravines, powerful waterfalls, and lush, green forests from the window. And if you'd prefer to spend your summer days shopping and your summer nights sipping a cold beverage, the cities of Oslo, Trondheim, and Bergen flourish in the sun. With winter comes the chill, and most of the country is carpeted in thick, white snow. Despite this, the activities in Norway don't slow down in the slightest, and the country is just as awe-inspiring as ever. Skiing is a way of life here, as Norwegians have never been afraid of a little (or a lot of) snow. Snowmobiling is a great way to explore the country in the colder months, with opportunities to spot wildlife such as reindeer, while dog sledding is a traditional way to experience the true beauty of the land in even its harshest conditions. And it's often said that the northern part of Norway is one of the best places in the world to see the magnificent Northern Lights. See them from Lygenfjord, Vesterålen, or, for a true northern experience, spend time in Svalbard, a spot in the Arctic Ocean that's home to polar bears, glaciers, and the only place on the planet where you can see the spectacular Northern Lights in the daytime. And those cities that come alive in the summer months stay active even in the cold, with ice festivals and Christmas markets to keep you busy well into winter. Whatever you're after, you're bound to find it in the wilds of Norway. Throughout Scandinavia, there are commonalities between the languages of Norwegian, Swedish, and Danish. But Norwegians have some, shall we say, very interesting phrases that are uniquely theirs. Perhaps the most hilarious of these include: "født bak en brunost" ('born behind brown cheese', meaning the person is a bit slow), "å svelge noen kameler" ('to swallow some camels', meaning to give in), and "å være midt i smørøyet" ('to be in the middle of the butter melting in the porridge', meaning to be in a very favourable situation), all of which translate to some hilarious images in other languages. For more information and to help plan your trip to Norway, make sure to check out Expedia's package holidays to Norway.